Global Partnership Program (GPP) from Stucan Solutions, Corp.
GPP provides market insight, access to key customers, decision makers and experience in U.S. Federal & commercial interests in order to enter in to new business areas and establish a presence in the U.S.
Are you looking to enter the U.S. market but don’t have the financial resources or insight to do so? Do you want a cost effective method to build your business in U.S. federal government and commercial markets? Business development for your services and products in the US and ability to utilize Stucan Solutions, Corp. a recognized and U.S. based company. Access to high level customers/market leaders and government agencies, trade show exhibition and marketing, white paper and proposal developments, and technical subject matter expert support. U.S. representation of clients and their products as a consultant business development partner. Access to our vast database of U.S. customers (government & commercial). Development of strategic partnerships with U.S. companies for joint opportunities. Coordination of client’s U.S. in-country meetings with potential customers. Phone and email support services with identified business leads. Strategic business planning for market entry or growth. Technical and subject matter expert support services. Consultant fee and retainer for services rendered. Compensation to be mutually agreed upon using a distributors or succession fee agreement on a lead converting to a sale. * Travel cost for trade shows or non-local customer meetings are not included and must be approved by the client. Consultancy services gain market insight and navigate the complex U.S. Government processes and diverse commercial markets to set the conditions to launch services and products in the U.S. Access to high-level customers/market leaders and U.S. Government agencies and their budgets assists in the development of a well found strategy. The participation in key trade exhibitions, keynote speaker engagements and submission of technical white papers and proposals for research grants establishes presence in the U.S. Business and pipeline development services assist companies to find and secure government and commercial contracts to build a sustainable revenue stream from U.S. markets. ; all at a fraction of the cost of employing a full-time business development team in the U.S.
As sales increase in the U.S., the next challenge is to efficiently import and distribute products and services across markets. The establishment of reseller services through Stucan™ offers U.S. based and operated processes for imports, storage, assembly and distribution of products. This approach meets U.S. clients desire to ‘Buy America’ and expectations of U.S. based customers services. As revenue increases further, it may be desirable to establish a U.S. Subsidiary. Deciding where to locate your business involves a number of marketing, legal and financial factors, including state property and income tax rates, incentives available for the specific type of business and the skill level needed for your work force. Stucan™ serves to manage these challenges and minimize the financial risk by establishing the subsidiary as a U.S. majority owned company under the Stucan™ Group of companies. It employs the executive, engineering and administrative teams, manages payroll, benefits and taxes. The cost of establishing the company, employing executive management and staff, and running facilities are initially covered by Stucan™. Investment from the company is welcomed but not necessary; the level of initial investment determines the level of equity owned by the company. Royalties and dividends are paid to the company commensurate to their investment. As the U.S. subsidiary strengthens, the company has the option to procure up to 90-95% of the equity. Stucan™ will retain only 5-10% holdings in the U.S. subsidiary. Executive and operational control transitions to the company as it becomes the majority owner. An inspirational leader, business executive, diplomat and skilled engineer with an unrivalled network of innovators and key decision makers committed to exploiting science and technology to rapidly enhance defense and commercial capabilities. An accomplished executive, technical consultant and business development director who wins Government and commercial contracts in domestic US and international markets. Strategist, technician and business executive with the vision, program management expertise and operational experience needed to lead and inspire scientists and businesses alike. 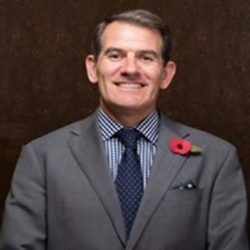 Mark Sullivan retired from the British Embassy in Washington DC where he was the military science and technology and rapid acquisition officer. He started his 27-year British Army career as a young paratrooper. He was soon commissioned through The Royal Military Academy Sandhurst and went onto command and staff appointments in airborne, armored and technical units. He is an airborne sapper, professional civil engineer, has an MSc in Networked Defense Simulation and Modeling and is a graduate of the UK Advanced Command and Staff Academy with an MA from Kings College London in Defense and International Studies. Mark has operational experience in Northern Ireland, Bosnia, Iraq and Afghanistan and spent time in Africa and Central America. When serving in the Pentagon supporting the US Army G8 and Rapid Equipping Force, he led the rapid development and urgent delivery of emerging technologies to troops in combat in Iraq and Afghanistan. As Stucan Solutions Associate Partner for science and technology, he provides specialist consultancy and research services to assist in the innovation, certification and exploitation of emerging technologies to deliver products and services for military and commercial markets. He also captures and manages prime and sub contracts providing the US Government and civil industries with specialist engineering technical assistance personnel and engineering support solutions for ISR sensors, soldier systems, protected vehicles, manned and unmanned aviation. Stuart Taylor established Stucan Solutions Corporation in 2011 after retiring from the U.K Military where he was a Senior Warrant Officer for 25 years with the British Army and Commando Forces, having risen to the position of Senior Management and have experience in the following arenas Counter Terrorism Operations and Risk Mitigation, Humanitarian relief operation support, Advance forces clearance operations within hostile environments, Technical Response Force (TRF) – UK Counter Terrorism Support to CBRNe, Maritime Interdiction and Fleet Protection Force. Stuart has taken this knowledge and experience and embedded it in to Stucan Solutions Corporation to provide specialist advice for Government, Law Enforcement and Special Forces in support Counter-Terrorist operations, provided real time training for all agencies in targeting, interdiction and mitigation roles which are key, to defeating new insurgency and terrorist treats around the world. 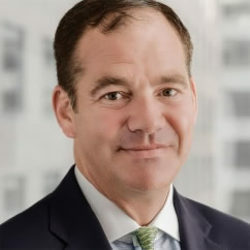 Stuart has founded the Global Partnership Program™ (GPP) which enables businesses the ability to penetrate the U.S. market with important new technology's and give businesses strategic understanding of the U.S Federal and commercial landscape. The U.S. market is large, homogeneous, and a traditional leader in technology products. A successful U.S. presence can be extremely gratifying and rewarding. In addition establishing and maintaining market share in the U.S. can play an important role in maintaining technical advantage and a competitive edge in your home market. The GPP offers a strategy to enter the U.S. market and navigate a path to overcome the challenges and risks of doing business in the U.S.
Stucan Solutions is a Strategic Business Development corporation that looks at countering emerging threats in specialist areas which Government and commercial sectors have a need for solution based results. Developing and designing new initiative concepts for services and product to address common threats to personnel, equipment and infrastructure. Provided direct business development support to the organization to grow their product and services businesses, with emphasis on the U.S. market. Established new business lines within the Special Operations & Counter Terrorism markets. Establish a strong, high-performing, geographical partnerships with a focus on identifying and capturing new business in both products and services, with new concepts' and capabilities. Implemented and structured new Business Development Concept of Operations (CONOPS) that defines an actionable process for identifying, qualifying, pursuing, and capturing new business opportunities. Lead new business opportunity gate reviews and project capture lead on campaigns. Supported development of a comprehensive, executable US business development strategy and plan that defined existing and new market space within the corporation needs. Coordinated and lead an effective marketing and communications campaigns focused at US and global trade shows, media releases, and customer-targeted market influences plans. Provide direct support to corporate leadership with strategic business development organization, including briefing support to the chairman and board. Mr. Falk was asked to serve the George Washington University School of Law as an Adjunct professor of Law in the fields of International Law, National Security and Arbitration Law. Mr. Falk founded his first advanced technology and software company in 2000 which provided electronic health record and medical imaging solutions for the health care industry, founded upon advanced compression techniques derived from Military and Intelligence Geospatial imagery technology and applications. Mr. Falk has also served as a Public Affairs Advisor to Cyprus-Amax Mining, RAG Coal (later Foundation Coal) and Thompson Creek Mining spanning all facets of Federal Government and International Government relations in matters affecting the energy and mining industry. Mr. Falk began his professional career as a Partner with The Falk Law Firm, with a practice focused in the areas of Civil Litigation (Intellectual Property, Unfair Competition, Government Contracts), Antitrust and High Technology with expertise in National Security and Government Contract law. Mr. Falk also served as the Executive Director of the Less-Than-Lethal Technologies Advisory Committee to the National Institute of Justice ("NIJ") —Office of Justice Programs (DoJ), supporting Federal Law Enforcement and specifically, Dr. David Boyd where he developed expertise in Interoperable Communications and pathways to leverage Federal Military investments in advanced technologies. Mr. Falk’s legislative experience includes service as a Legislative Assistant to Representative James Kolbe (R-Arizona), service as a Policy Advisor to the U.S. Senate Committee on Government Affairs and Senator David Pryor (D-Arkansas), service as the Research Assistant to Sir Eldon Griffiths, Member of Parliament in The House of Commons-Westminster and work in the Office of Senator Robert Dole (R-Kansas). In 1990, Mr. Falk was first confirmed by the U.S. Congress to serve on the Congressional Award Foundation Board of Directors, the only official charity of the U.S. Congress, which he served for twenty-one years. Senator Bill Frist nominated Mr. Falk in 2004 and he was confirmed by the U.S. Senate to serve as Chairman of the Congressional Award Foundation reporting to the Joint Leadership Commission of the U.S. Congress. President George W. Bush honored Mr. Falk for his Public Service by receiving the President's Lifetime Achievement Award for Volunteer Public Service. Mr. Falk received his Bachelor of Arts degree from Washington and Lee University with honors in 1986, with majors in Politics and Journalism. In 1986 Mr. Falk also received the Congressional Award Gold Medal from the United States Congress for his volunteer public service, initiative, and achievement. Mr. Falk returned to Washington and Lee University School of Law and received the degree of Juris Doctor in 1990. He was also the recipient of the University Service Award, the Francis J. Gilliam Prize, and the Sigma Delta Chi Achievement Award. Mr. Falk has served as a Lecturer on the subjects of Federal Appropriations Law, Government Contracting and International Trade for Federal Government Agencies. Mr. Falk is admitted to the U.S. Supreme Court Bar, the U.S. Court of Appeals for the Federal Circuit, as well as, Bars of the Commonwealth of Virginia and the District of Columbia. As Stucan Solutions General Council and Global Partnership Partner (GPP) Associate Partner as Special Counsel in the areas of National Security, Government Contracts, International and Cyber-Security Law. 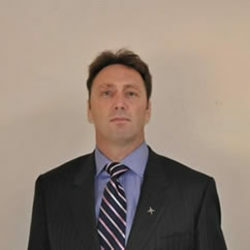 Mr. Falk has 26 years of experience representing U.S. defense and technology companies, such as General Dynamics Land Systems, Westport Shipyard and Boeing/Insitu within the Military, Homeland Security, and Technology sectors in the areas of Federal and International Trade, Business Development, Strategic Relations and Federal Procurement matters. Mr. Falk has successfully assisted numerous clients in the sale of advanced technology products and services to Foreign Governments and the development of International markets for Military, Security, Law Enforcement, and Homeland Security Infrastructure. Mr. Falk has expertise in Sensor-Fusion to Bio-Threat Alerts by leveraging expertise in advanced Unmanned System Training (UAS/UAV) and Command Response software for the Defense, Homeland Security, Law Enforcement, Intelligence and First Responder community. Stucan Solutions is a global security and operations company providing innovative systems, products and solutions to government and commercial customers, offering an extraordinary portfolio of capabilities and services spanning a wide spectrum including security, innovation, cyber, intelligence, critical infrastructure and analysis.